Dog Legislation Education (DLE) is for anyone on either side of the Breed Specific Legislation (BSL) fence. I wanted to provide a place where you can ask questions that otherwise might spark debate. This is not meant to be a place to argue the issues, but to help people understand why dogs bite, who's really responsible, and what types of legislation have proven successful in protecting the public and punishing human offenders. Anyone commenting on the blog will be removed from the group for being insensitive. My main focus will be for citizens of Springfield, Mo as the Animal Issues Task Force (AITF) has proposed new legislation, policies, programs to City Council. Because these proposals could help improve the safety of citizens anywhere, the blog is open to anyone. The Root of Fear is Ignorance. The one thing I have learned over the years, is that most people who have a problem with a specific breed of dog either had one bad experience or heard bad stuff on the news. Humans are allowed to be afraid...I'm afraid of spiders, hopefully no one faults me for that! 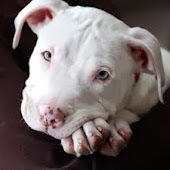 What I hope to accomplish with this blog is to help Pit Bull and other Power Breed owners to understand that some people don't know any better than to be afraid. As dog owners we have to take our time and show the public that no one breed stands alone with behavioral issues. I hope to not only educate people who don't know the blessings our dogs bring, but also help educate people who may not know what is appropriate behavior for them and their dog. Though I don't believe Breed Specific Legislation is effective in educating the public, I do believe Potentially Dangerous Dog, Dangerous Dog, and Irresponsible Owner Legislation can not only educate, but improve public safety as well. Please enjoy the blog, sign up for email updates, keep your filters on when commenting, and hopefully learn something new today. What's going on in Springfield, Missouri now? Clay Goddard, Kevin Gibson, Randy Barnts, Mayor Stephens, and many others wanting to work towards their agenda...Whether this means retirement, their opinion of social status, MONEY, the fact that the BSL might get repealed, or any other agenda that doesn't reflect what the citizens want but what they want! Thank you to everyone who helped the City of Springfield come this far. I appreciate all of the progress we have made. It's funny, in a not-so-funny way how politics can get in the way of progress! I feel, as a citizen, that I was taken for granted and disrespected... and I'm sure other former AITF members feel the same. The AITF also passed an ordinance restricting the tethering of a dog. There are exceptions such as time limits, so don't panic those of you who are "responsible owners". You can check out the Greene County Health Department page for updates and the final draft of the ordinance. Parking Lot Animal Sales No More! Here is the ordinance we proposed that got passed! The City Council has voted to revisit the Breed Specific Legislation in the next 12 months. I will tell you that as long as we have this Mayor, I am not confident in the City Council will able to come to their own conclusion and vote accordingly. The Mayor doesn't believe Pit Bulls are a normal dog...He has made it clear he believes they are "Rabid Dogs"...of course that is from the words he used to describe the people who love their Pit Bulls..."Rabid Dog Lovers". All I ask is that each City Council member listens to ALL sides before they vote the Breed Specific Legislation here in our city. It is not effective, costs more money than it makes, and charges money to those citizens who are responsible....and the few citizens who get "caught". I know there is at least one Council Member that is afraid of "bigger dogs". This is just one example of why I hope the Council is willing to get informed and notices that the new Dangerous/Vicious/Reckless is way more effective than the Pit Bull ordinance we currently have in place. The City panicked 8 years ago...now we are more informed and have so much more data. Look at the numbers...why are they different? Ask questions...don't listen to people tell "stories" to put their twist on statistics...take note of the FACTS! And citizens...stand up to politicians that don't have OUR interests at heart! The following was Mayor Stephen's new resolution about the NEW Task Force! � Serve as a "sounding board" for City Council's Plans & Policies Committee as it researches and addresses the issue of breed-specific language within the City's ordinances. � After six months of it being enacted, analyze the effectiveness of the Nuisance and Vicious Dog ordinance passed by City Council on September 28, 2015 and provide a written evaluation to City Council's Plans & Policies Committee shortly thereafter. � Be on stand-by for any other animal-related issues City Council votes to refer to the Task Force for evaluation during its year of existence. � This iteration of the Animal Issues Task Force will not be asked to address any topic the first Animal Issues Task Force has already addressed via its report to City Council. Process: The Office of Public Information will solicit members from the general public for the new Animal Issues Task Force. There will be twelve members of the new Task Force. Up to three members of the original Animal Issues Task Force are eligible to be re-appointed to the new Task Force, but the intention is to appoint a majority of new members to the Task Force. Membership of the Task Force will be selected by City Council's Public Involvement Committee once a sufficiently sized and diverse pool of applications has been received by the City Clerk. Isn't this what the dissolved Task Force was already doing? My life's passion is helping animals live a better quality of life. The best days are those in which I get to see a team I am coaching make progress toward their goals. I am a Certified Behavior Consultant Canine-KA, a Professional Dog Trainer certified by the Council for Professional Dog Trainers (CPDT-KA), and an AKC Canine Good Citizen Evaluator with 20 years experience in the field of animal training. 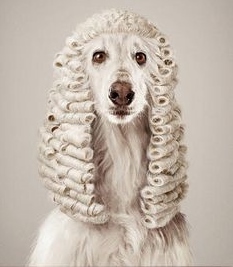 I am also currently a member of the Association of Pet Dog Trainers. Three years on the Animal Issues Task Force in Springfield, Mo allowed me the chance to spend time focusing on helping rewrite canine legislation in Springfield Missouri. My specialty of behavior modification for canine anxiety and aggression sets me apart from trainers in the area. My area of expertise gives me a fighting edge for the equal rights of all breeds and for the repeal of any and all Breed Specific Legislation.